When a case calls for highly technical expert depositions or electronic discovery, Gino Gusmano applies his litigation experience and technology background to defend business clients ranging from privately held entities to Fortune 500 companies. 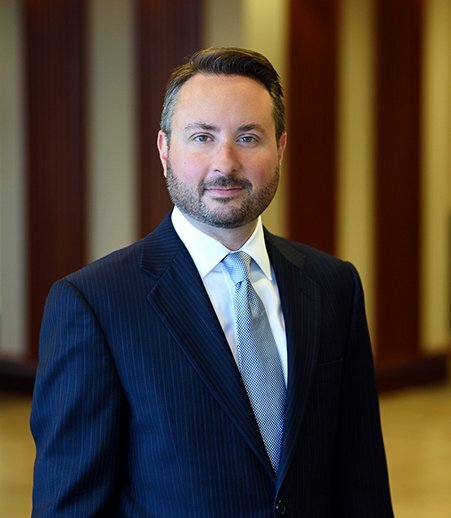 Gino has handled a variety of complex litigation at the trial and appellate levels, frequently defending clients in the trucking industry and those facing medical malpractice claims. Drawing on his knowledge of the federal laws that govern trucking companies, he has worked with accident reconstructionists and expert witnesses to examine the details of such cases across the country. Similarly, his medical malpractice defense involves significant work with hospital electronic medical records and taking depositions from medical specialists. In addition, Gino has helped clients with issues involving toxic torts, professional liability, catastrophic personal injury, construction and other business disputes. He has experience with insurance claims involving the failure to place coverage and disputes with policyholders and their insurers. His breadth of litigation experience is paired with in-depth understanding of federal and state e-discovery practices, including the duty to preserve data and litigation holds, computer forensics, metadata production, corporate information systems and protected health information. Monarch Fire Protection District v. Freedom Consulting & Auditing Services, Inc., 644 F.3d 633 C.A.8 (Mo. 2011). Represented an accounting firm in appeals court in a professional liability case related to its audit of a fire protection district’s health plan. Dwiggins v. City of Chesterfield, Dept. of Police, 283 S.W.3d 304 (Mo. App. E.D. 2009). Represented police department and sergeant as defendants in appeal of an employment discrimination lawsuit. Owens v. Unified Investigations & Sciences, Inc., 166 S.W.3d 89 (Mo. App. E.D. 2005). Represented the defendant fire investigator in a plaintiff’s claim that it failed to preserve evidence. A summary judgment denying the plaintiff’s claims was upheld. Metal Exchange Com. v. J.W. Terrill, Inc., 173 S.W.3d 672 (Mo. App. E.D. 2005). Defended an insurance broker facing professional liability claims. Toth v. Guarantee Elec. Const. Co., 148 S.W.3d 873 (Mo. App. E.D. 2004).Defended a construction company accused of creating a dangerous condition on the premises. Kohn v. Laidlaw Transit, Inc., 347 IILApp.3d 746, 808 N.E.2d 564 (Ill. App. 5 Dist. 2004). Defended a school bus driver and transit company after another motorist alleged negligence on the part of the bus driver. Summary judgment in favor of the defendants was upheld on appeal. Lindemann v. Lawder, 122 S.W.3d 693 (Mo. App. E.D. 2003). Represented a defendant in a legal malpractice suit. “HIPAA and the Medical Securities Act"
Panelist, “Issues Facing Young Lawyers"